You are here: Home / Apple / Poll: What Will Apple Release Today? Today Apple will release a new iPhone. Will it be an iPhone 5S, an iPhone 6 or “The New iPhone”? What color will it be? What new features? All are rumors until Apple makes it’s announcement but we thought it would be fun to see what you think. Here’s a list of possibilities. Pick the ones you think are true and if there is one not on the list, add it to the comments. What Will Apple Release Today? I’m really banking on the new home button. Something they should have done a long time ago. Being able to swipe the home button with the new iOS 7 would be great. Page back and forth, swipe up for Control Center and down for Notification Center. I doubt there will be a fingerprint reader yet. And probably no NFC either. What do you think? 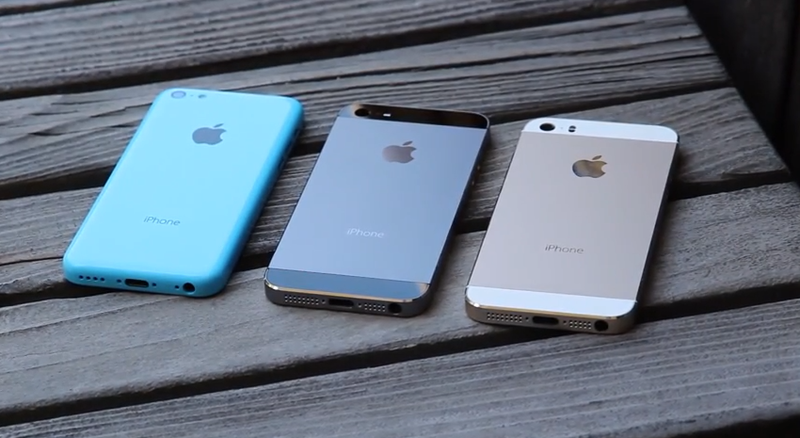 That was the new iPhones indeed, the 5s and the 5c. These 2 add to apple’s refined series of great mobiles and the 5s also comes with some innovative technologies. An example would be its amazing 64bit A7 chip, which will render the phone twice smarter and quicker than its predecessor the iPhone 5. Iphone 5s sounds great. Where you can get us iTunes gifts cards?